It’s 8pm on a brisk Monday night, and I’m shovelling manure by the light of a head-torch. 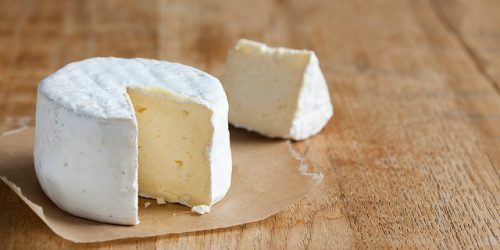 What’s more, I’m loving it. I’ve come to try out the nearest branch of GoodGym, a group combining exercise with helping out in local communities. Tonight, we’ve run from our meeting point at a sports centre to a small community garden, where we’re prepping the ground to be planted with flowers. There’s an upbeat, chatty atmosphere, and after a day stuck behind a computer it feels good to be working in a team on something positive. 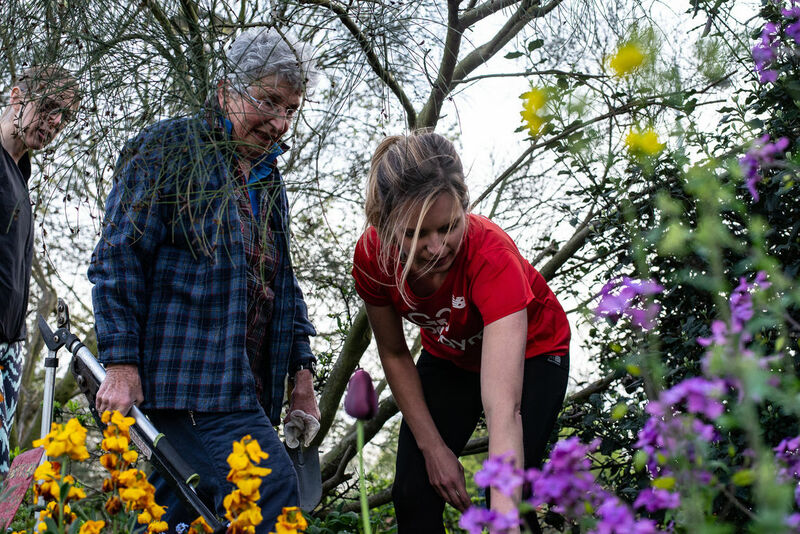 This is one of GoodGym’s ‘group runs,’ but you can also choose to do ‘coach runs’ (running to visit a socially isolated older person) or ‘mission runs’ (running to help an older person with a one-off practical task.) 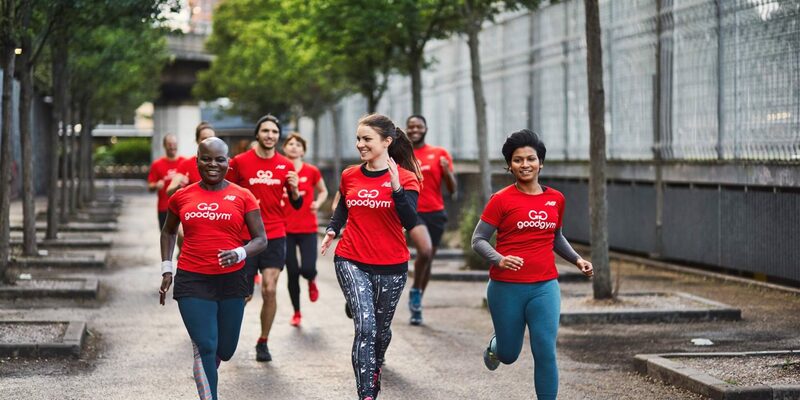 With multiple branches across the city, GoodGym is increasingly popular – and its growth is indicative of a wider trend. Increasingly, it seems, we want our exercise to come with an extra dimension: we want to give back as we work out. The link between exercise and charity is, of course, nothing new. Who hasn’t sponsored a mate doing a triathlon or marathon to raise money for a good cause? Sport doesn’t just keep us fit – it builds bridges and forges friendships. 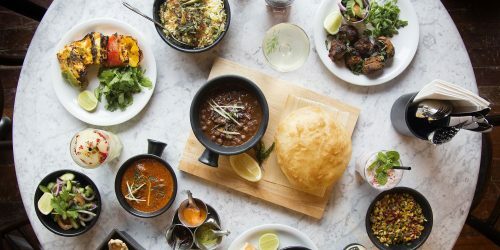 Nevertheless, there’s no denying that in London ‘wellness’ has often come to mean something elite, expensive and self-focused – a world of £5 green smoothies, #gains selfies and boutique fitness classes with long waiting lists. 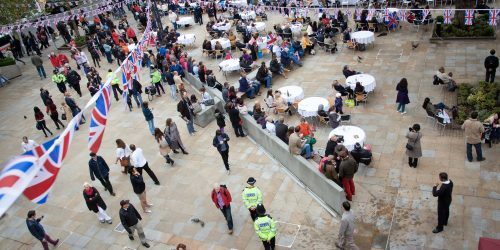 When organisations make it easy for us to combine giving back with exercise, there can be a special kind of alchemy"
In a city where many people move about frequently, and don’t necessarily feel truly connected to their local community, combining exercise with social contribution can help give individuals a meaningful sense of place. The appetite is out there to start giving back – but most are time poor, stressed, and wary of committing to anything too regular. When organisations make it easy for us to combine giving back with exercise, there can be a special kind of alchemy. Tyler Williams-Green, a 35-year-old welfare and development coordinator for a charity supporting marginalised young people, leads a weekly running club, The Outrunners. While the sessions always involve hills, technique advice and interval training, Tyler has started combining these with altruistic missions every month or so. It can sometimes be overwhelming, wondering how you can make a difference"
In a time of epidemic levels of anxiety, combining group exercise with good deeds can help people to feel they’re having a practical, palpable impact for the good. While certain commentators delight in stereotyping millennials as lazy, work-shy and self-obsessed, they are actually more likely to care deeply about social, environmental and political issues. Yet the vastness of many problems – for example, climate change – can feel a bit paralysing. “There’s rising awareness of the horrific environmental crisis that we’re currently facing,” says Dermot Kavanagh, a 29-year-old personal trainer and the co-founder of Plogolution. A Scandinavian trend, ’Plogging’ combines litter-picking with jogging. On one plog through Battersea Park, 50 Plogolution ploggers scooped up over 100 bags of rubbish, much of which they could later recycle. 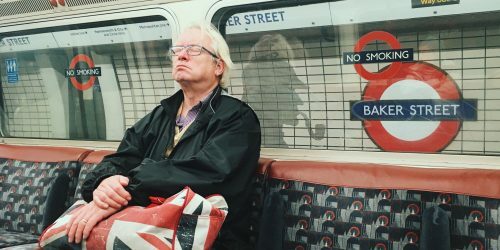 The success of Plogolution, Good Gym and others is testament to the fact that – although fiendishly busy – Londoners are hungry for a feeling of connection, and the chance to do some good in the world. And while combining good deeds with mood-boosting, stress-relieving exercise may not solve all of the capital’s injustices, step by step it makes London a fairer, friendlier and more positive place. This East London running crew is dedicated to supporting people affected by mental health issues. Whether you’re having problems, want to check in on your health or just fancy meeting new friends, you can join their free weekly runs. Run4Rene frequently collaborate with The Outrunners, and together they recently launched the first Out Of Your Mind 10k fun run which has so far raised more than £5600 for The Samaritans and Alzheimer’s Research UK. 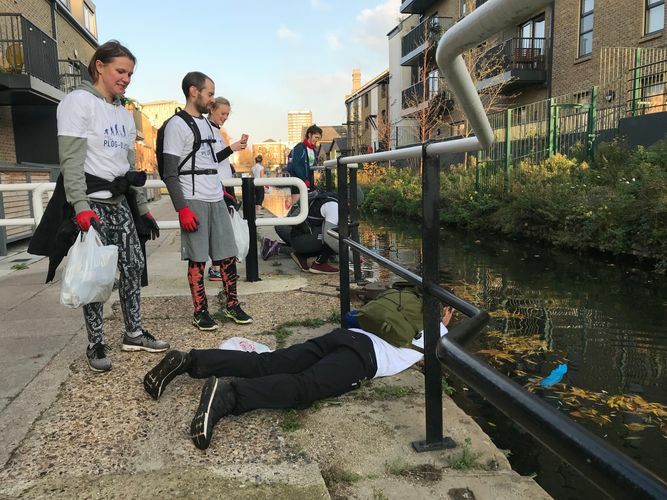 From May, you can take part in Active 360’s regular ‘Paddle & Pick’ SUP tours every month – cruising along London’s waterways in style, while helping to rid the Thames of waste. On 21st June there will also be a massive group paddle to Richmond for Get On Board 2019, picking up plastic trash from the Thames on the way, with a party at the other end. 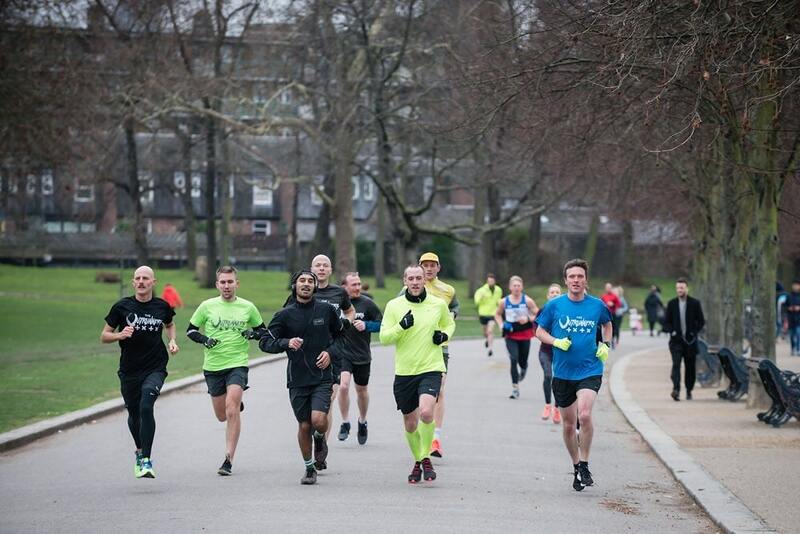 From 13 mates in a London park to 5 million runners worldwide, the parkrun success story is legendary (and heartwarming.) If you live in London, there’s bound to be one of these free, timed 5ks happening somewhere near you every Saturday. You can run, or walk, and give back to the supportive and friendly parkrun community by volunteering as a marshal. Plant trees, build ponds and sow seeds at these free outdoor sessions which combine conservation with unconventional fitness training. Spending time in nature has also been proven to reduce stress, so it’s a win-win situation. Green Gyms take place across London and the UK. Accessible yoga brand MoreYoga, with branches across the city, run special Karma Community Classes every month. They are priced on a pay-as-you-can basis for locals, with inexperienced or new yogis very much welcome, and each class gives money back to a charity in the community. Amy Dawson is a freelance culture and lifestyle journalist who lives in London. She’s tried everything from wild river swimming to axe throwing in the name of a good story – and she has the embarrassing photos to prove it.